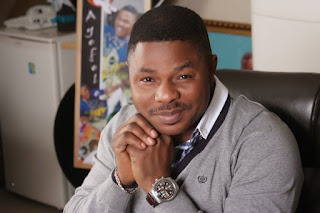 Home / Entertainment / I Will Never Leave Him,Yinka Ayefele’s Wife Sheds More Light On Their Marriage. 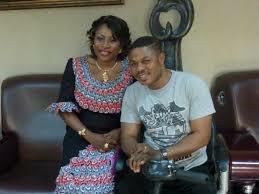 I Will Never Leave Him,Yinka Ayefele’s Wife Sheds More Light On Their Marriage. Offering an introduction, she said, “My name remains Temitope Titilope Ayefele. I am an Ibadan woman, born and bred. My father is Prof. Mathew Oladokun Fawusi and my mother is Mrs. Fawusi. “I am from the popular Laamo Compound in Ibadan. I am from a moderate, cool background, we are not poor and we are not rich but comfortable. “My father was a Professor while my mum, a businesswoman. I grew up at Bodija area of Ibadan. “I went to Kings Convent School for primary and my secondary school was Ibadan Grammar School, Molete, Ibadan. “Then I went NCE, St. Andrew’s College, Oyo then (1992-1995). I later went to U.I to study Economics Education (1996-2000). “Those who really know me would tell you that I am not too loud or gentle, I’m in-between. I have a large heart and I love people around me. On what has sustained her marriage to the famous musician? She revealed: “God’s grace has been sufficient for us in life and our marriage. Enough patience, mutual respect and understanding are part of the key ingredients to a successful marriage. “You must not listen to side talks but concentrate on the person you are dealing with. “Since you have both signed a life contract and it is for better for worse, you must deal with issues together. “All that, coupled with the special grace of God, have sustained my marriage up till this moment. “I met him in 1996, before he had the accident. “I saw in him a hard-working man when we met. Very hard-working, there is nothing he can’t do to stay afloat in his profession. So, what made her stay with him despite all odds? “Why won’t I stay? I told you about some of the qualities I saw in my husband that made me fell in love and married him. “I have made up my mind to spend the rest of my life with him before the accident. When he had the accident we there together at the University College Hospital, Ibadan (UCH). “I saw in him the determination to survive, to live and to make it in life. Those are the things that also motivated me to stay with him in the time of trouble and up till now. “Nobody is above trial and tribulations and when they come what one should do is to remain steadfast and be prayerful. Asked if her husband is sexually active and she said, “Well, that is strictly my private life which can never be discussed on the pages of newspapers for no reason.